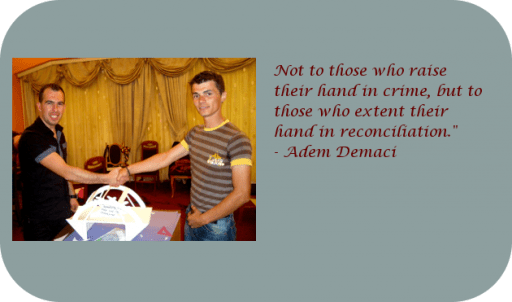 Constructively dealing with a violent past fosters lasting peace and a vivid democracy. Contributing to Peacebuilding, the process of Dealing with the Past includes the re-establishment of justice, truth-finding as well as official recognition of the past and re-shaping social relationships. These processes contribute to rebuilding trust and structures which are needed in order to form new ways of living peacefully together. Moreover, Dealing with the Past is not only linked to the individual level. 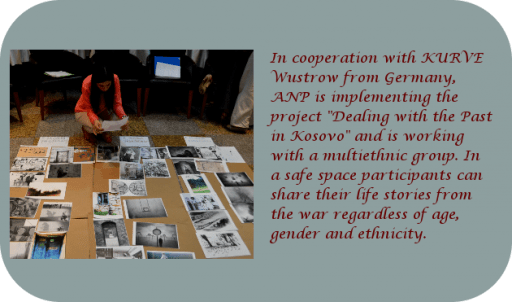 Action for Nonviolence and Peacebuilding (ANP) is conducting training for individuals to contribute to the reconciliation in Kosovo society. In the Balkans and in Kosovo, different „truths“ circulate explaining the wars in the 1990s. They all claim to be the one true story. These dominant narratives often exclude the suffering of minorities or ignore the crimes of the own community. Injustice committed against individuals is rarely published or recognized. Nationally, systematic Dealing with the Past is insufficient or missing. Kosovo society is ethnically divided in all aspects: education, school, culture, religion and politics. In this context, prejudices and resentments towards other communities are fostered through a one sided perspective on history and the recent war. Witnesses of the war share their stories only in their ethnically homogenous groups or keep them unspoken. 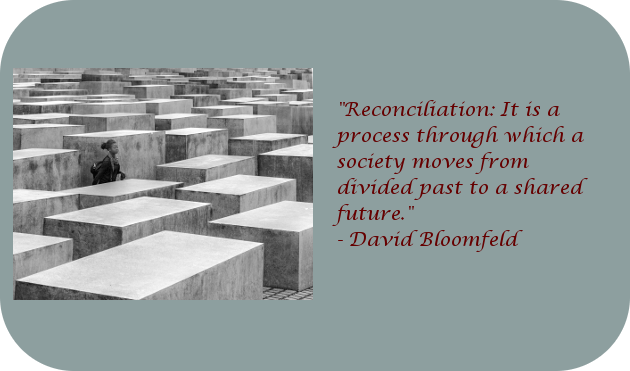 An exchange of narratives from different sides focusing on reconciliation hardly exists. In this atmosphere reconciliation in the divided society of Kosovo is unlikely to happen. ANP is fostering an inclusive narrative of the past, that offers possibilities and ways for reconciliation. The establishment of a culture of remembrance, which deals constructively with violence, committed crimes and human rights abuses will contribute to reconciliation at the institutional and private level in Kosovo in the long term.